The filling of the OhYeah! 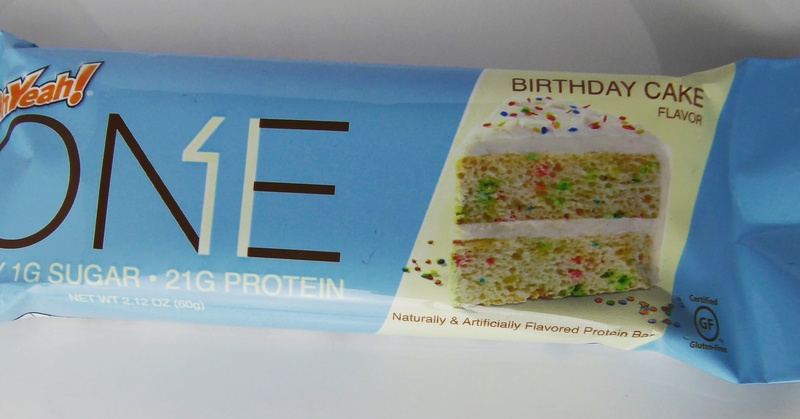 One Birthday Cake Flavor protein bar is a soft and tough mass, which indeed has the flavour of a cake. Biting is not so pleasant, but the taste is rather ok for sucking. But if we keep in mind that this bar only has 1g of sugar in the bar, the sweet natural taste is rather impressing. Oh Yeah! 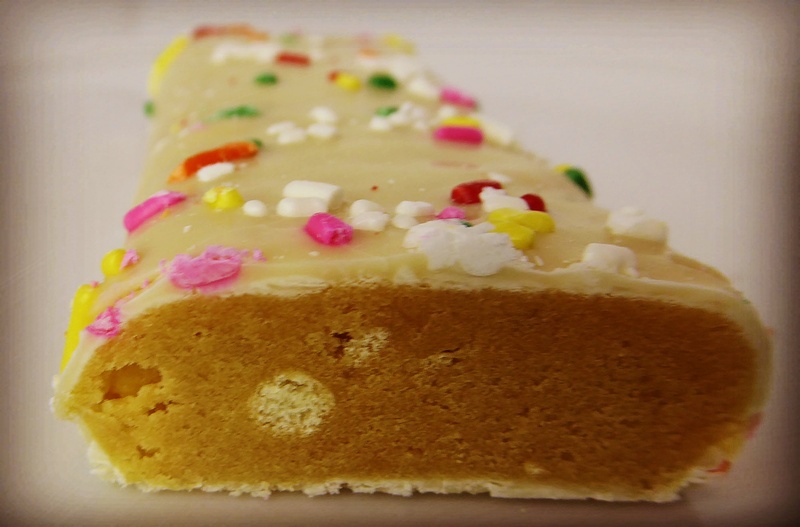 One Protein Bars Variety Pack, 12 Bars, Mixed Flavors – PICK YOUR FLAVORS!! 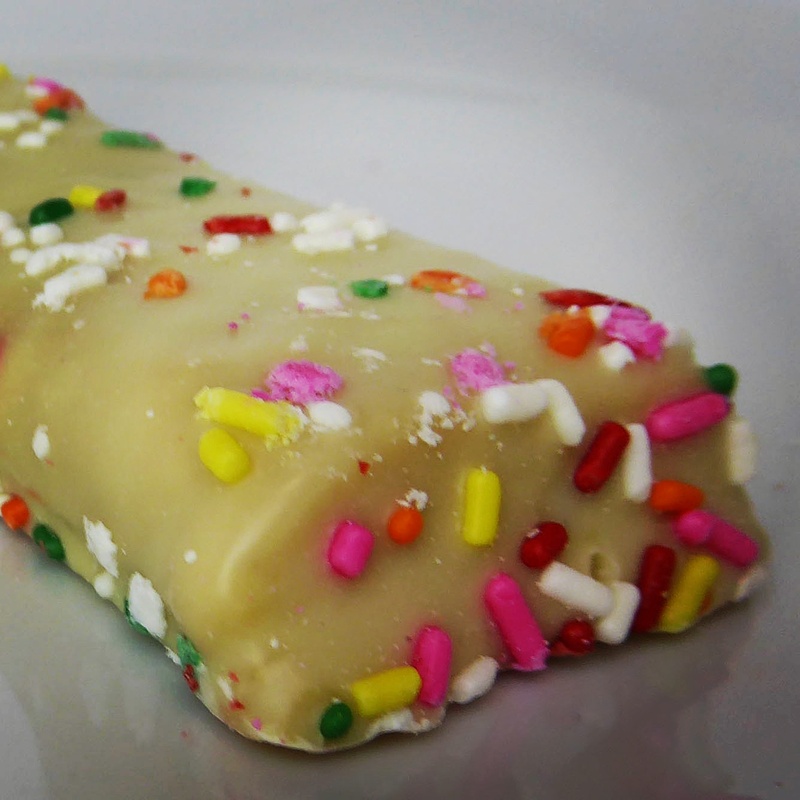 Best Tasting Protein Bars, Superior to Quest Bars. NEW Flavor Chocolate Birthday cake available!!! by OhYeah! Distributed by: Integrated Sports Science in Charlotte NC, USA. 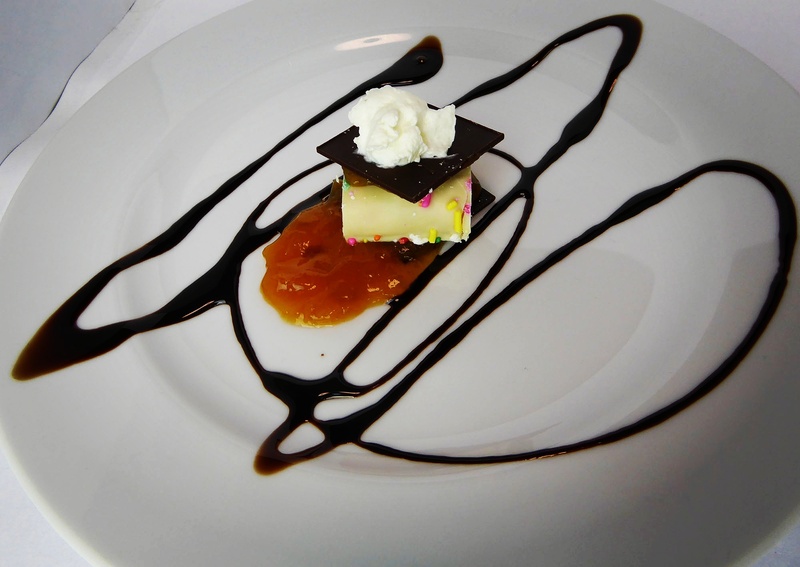 This protein bar was served with apriciot jam, a thin chocolate slice, chocolate sauce, and whipped cream on the top.